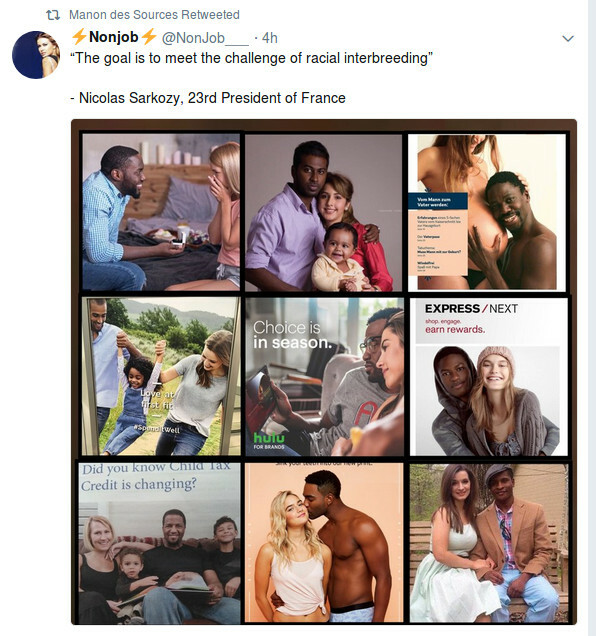 [Its almost impossible to conceive this is real, but the French President Sarkozy had the gumption to tell the French people some years ago that if they did not willingly interbreed with non-whites that the Govt would force them to interbreed. If you look at Sarkozy’s background, his father is a Greek Jew who apparently converted to Christianity to marry his mother. The bottom line is that Sarkozy clearly has Jewish links. According to John Tyndall, Portuguese whites were forced to interbreed with Jews. It seem to be a common Jewish race meme. As one white father once said: ” I’d rather see my son a flaming homosexual than bringing home his black wife and their halfbreed kid”.